Transcript of a discussion on how more companies are seeking sustainable resources improvement by adopting circular economy principles to make the most of their existing IT and business assets. Our next use of sustainable resources improvement interview examines how more companies are plunging into the circular economy to make the most of their existing IT and business assets. We’ll now hear how more enterprises are optimizing their IT kit and finding innovative means to reduce waste -- as well as reduce energy consumption and therefore their carbon footprint. Stay with us now as we learn how a circular economy mindset both improves sustainability as a benefit to individual companies as well as the overall environment. Here to help us explore the latest approaches to sustainable IT is William McDonough, Chief Executive of McDonough Innovation and Founder of William McDonough and Partners. Welcome to the show, William. William McDonough: Thank you, very much. Gardner: We are also here with Gabrielle Ginér, Head of Environmental Sustainability for BT Group, based in London. Welcome, Gabrielle. But the ones that do know how to manage those things, it becomes just part of a service. That’s a really elegant thing. So, if a company like HPE says, “Okay, how many problems of yours can we solve? Oh, we will solve that one for you, too. Here, you do what you do, we will all do what we do -- and we will all do this together.” So, I think the notion that it becomes part of the service is a very elegant thing. Ginér: Oh yes, most definitely. Just last year through our Energy Efficiency Program, we saved 29 million pounds, and since we began looking at this in 2009-2010, we have saved more than 250 million pounds. So, there is definitely an economic case for being energy efficient. Gardner: I’m afraid we’ll have to leave it there. We have been exploring how more companies are plunging into the circular economy to make the most of their existing IT and business assets. And we have learned how a circular economy mindset both improves sustainability as well as enhances the ability of companies to adapt to change and put in more of a hybrid IT-factored economic benefit. 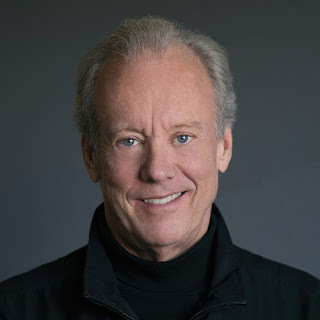 So please join me in thanking our guests, William McDonough, Chief Executive of McDonough Innovation and Founder of William McDonough and Partners. Thank you, sir. Gardner: We have also been joined by Gabrielle Ginér, Head of Environmental Sustainability for BT Group, based in London. Thank you, Gabrielle. Ginér: Thank you, very much. Gardner: And a big thank you to our audience for joining this BriefingsDirect Voice of the Customer digital transformation success story. 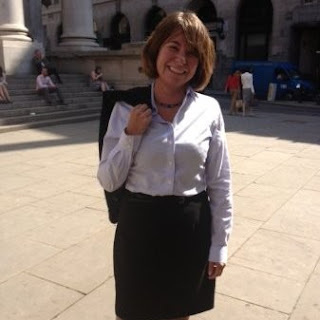 I’m Dana Gardner, Principal Analyst at Interarbor Solutions, your host for this ongoing series of Hewlett Packard Enterprise-sponsored interviews. 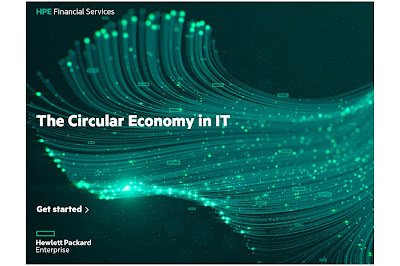 Transcript of a discussion on how more companies are seeking sustainable resources improvement by adopting circular economy principles to make the most of their existing IT and business assets. Copyright Interarbor Solutions, LLC, 2005-2019. All rights reserved. Transcript of a discussion on how workers in harsh conditions are gaining ease in accessing and interacting with the best intelligence thanks to cloud-enabled, hands-free, voice-activated, and multimedia wearable computers. Our next industrial-edge innovation use-case examines how RealWear, Inc. and Hewlett Packard Enterprise (HPE) MyRoom combine to provide workers in harsh conditions ease in accessing and interacting with the best intelligence. We’ll now learn how a hands-free, voice-activated, and multimedia wearable computer solves the last few feet issue for delivering a business’ best data and visual assets to some of its most critical onsite workers. 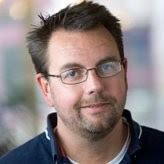 Gardner: We’re also joined by John “JT” Thurgood, Director of Sales for UK, Ireland, and Benelux at RealWear. Welcome, JT. John “JT” Thurgood: Thank you, Dana, it’s good to be here. You can imagine it. An engineer gets to an industrial site, gets permission to be near the equipment, and has his schematics and drawings he takes into that often-harsh environment. His hands are full. He’s trying to balance and juggle everything while trying to work his way through that authorization process prior to actually getting on and doing the job – of being an engineer or a technician. We take that need for physical documentation away from him and put it on an Android device, which is totally voice-controlled and hands-free. A gyroscope built into the device allows specific and appropriate access to all of those documents. He can even freeze at particular points in the document. He can refer to it visually by glancing down, because the screen is just below eye-line. He can follow work orders and processes. And, if he hits a brick wall -- he gets to a problem where even after following work processes, going through documentation, and it this still doesn’t look right -- what does he do? Well, he needs to phone a buddy, right? The way he does that is the visual remote guidance (VRG) MyRoom solution from HPE. He gets the appropriate expert on the line, and that expert can be thousands of miles away. 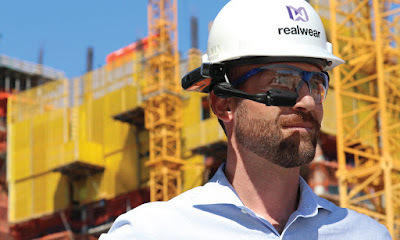 The expert can see what’s going on through the 16-megapixel camera on the RealWear device. And he can talk him through the problem, even in harsh conditions because there are four noise-canceling microphones on the device. So, the expert can give detailed, real-time guidance as to how to solve the problem. You know, Dana, typically that would take weeks of waiting for an expert to be available. The cost involved in getting the guy on-site to go and resolve the issue is expensive. Now we are enabling that end-technician to get any assistance he needs, once he is at the right place, at the right time. Thurgood: Our chief technology officer (CTO), Dr. Chris Parkinson, was working in another organization that was focused on manufacturing military-grade screens. He saw an application opportunity for that in the enterprise environment. And it now has wide applicability -- whether it’s in the oil and gas industry, automotive, and construction. I’ve even had journalists wanting to use this device, like having a mobile cameraman. He foresaw a wide range of use-cases, and so worked with a team -- with our chief executive officer (CEO), Andy Lowery -- to pull together a device. That design is IP66-rated, it’s hardened, and it can be used in all weather, from -20C to 50C, to do all sorts of different jobs. We now have more than 10,000 RealWear devices in the field in all sorts of industrial areas. I have named a few verticals, but we’re discovering new verticals day-by-day. Josephson: There are a couple of things HPE does extremely well in this field. In these remote, expert applications in particular, HPE designed their applications really well from a user experience (UX) perspective. At the end of the day, we have users out there and many of them are not necessarily engineers. So the UX side of an application is very important. You can’t have a lot of things clogging up your screen and making things too complicated. The interface has to be super simple. The other thing that is really important for our customers is the way HPE does compression with their networked applications. This is essential because many times -- if you are out on an oil rig or in the middle of nowhere -- you don’t have the luxury of Wi-Fi or a 4G network. You are in the field. The HPE solution, due to the compression, enables very high-quality video even at very-low bandwidth. This is very important for a lot of our customers. HPE is also taking their platform and enabling it to operate on-premises. That is becoming important because of security requirements. Some of the large users want a complete solution inside of their firewall. Gardner: In effect, it’s a cloud application now -- but it can become a hybrid application, too. Thurgood: What’s really unique, too, is that HPE has now built-in object recognition within the toolset. So imagine you’re wearing the RealWear HMT-1, you’re looking at a pump, a gas filter, or some industrial object. The technology is now able to identify that object and provide you with the exact work orders and documentation related to it. We’re now able to expand out from the historic use-case of expert remote visual guidance support into doing so much more. HPE has really pushed the boundaries out on the solution. 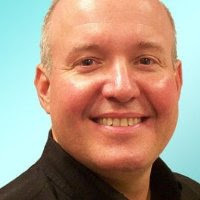 Gardner: It’s a striking example of the newfound power of connecting a core cloud capability with an edge device, and with full interactivity. Ultimately, this model brings the power of artificial intelligence (AI) running on a data center to that edge, and so combines it with the best of human intelligence and dexterity. It’s the best of all worlds. Now, what does that do? It means never having an offline device. All of the data, all of your Internet of Things (IoT) analytics and augmented and assisted reality will all be made available to that remote user. So, we are looking at the superhuman versions of engineers and technicians. Historically you had a guy with paperwork. 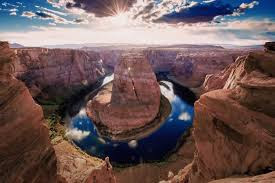 Now, if he’s always connected, he always has all the right documentation and is able to act and resolve tasks with all of the power and the assistance he needs. And it’s always available right now. At RealWear, we see ourselves as a knowledge-transfer company. We want the user of this device to be the conduit through which you can feed all cloud-analyzed data. As time goes by, some of the applications will reside in the cloud as well as on the local device. For higher-order analytics there is a hell of a lot of churning of data required to provide the best end results. So, that’s our prediction. Gardner: When you can extend the best intelligence to any expert around the world, it’s very powerful concept. Thurgood: We have a horseshoe-shaped device with a screen out in front. Typically, it’s worn within a hat. Let’s imagine, you have a standard cap on your head. It attaches to the cap with two clips on the sides. You then have a screen that protrudes from the front of the device that is held just below your eye-line. The camera is mounted on the side. It becomes a head-worn tablet computer. It can be worn in hard hats, bump caps, normal baseball caps, or just with straps (and no hat). It performs regardless of the environment you are in -- be that in wind, rain, gales, such as working out on an offshore oil and gas rig. Or if you are an automotive technician, working in a noisy garage, it simply complements the protective equipment you need to use in the field. So, what does that mean? That means my vehicle is off the road. It means I have to have a replacement vehicle. And that expert has to come out from head office to spend time traveling to be on-site to resolve the issue. What can happen now using the RealWear device in conjunction with the HPE VRG MyRoom is that the technician contacts the expert engineer remotely and gets immediate feedback and assistance on resolving the fault. As you can imagine, the customer experience is vastly improved based on resolving the issue in minutes – and not hours, days, or even weeks. The whole automotive industry has a big challenge because they have all of these people in the field who need to learn a lot. Doing it the traditional way -- of getting them all into a classroom for six weeks -- just doesn’t cut it. So, it’s now all about incident-based, real-time learning. Gardner: For those listeners wondering whether RealWear and VRG are applicable to their vertical industry, or their particular problem set, what are couple of key questions that they might ask themselves? Thurgood: Do your technicians and engineers need to use their hands? Do they need to be hands-free? If so, you need a device like this. It’s voice-controlled, it’s mounted on your head. Do they wear personal protectant equipment (PPE)? Do they have to wear gloves? If so, it’s really difficult to use a stylus or poke the screen of a tablet. 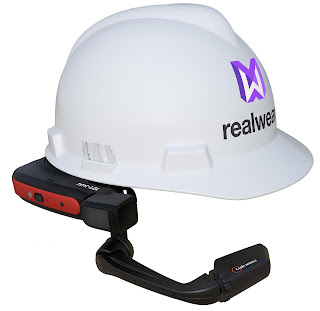 With RealWear, we provide a totally hands-free, eyes-forward, very safe deployment of knowledge-transfer technology in the field. If you need your hands free in the field, or if you’re working outdoors, up on towers and so on, it’s a good use of the device. Josephson: Also, if your business includes field engineers that travel, do you have many traveling days where you had to go back because you forgot something, or it wasn’t the right skill-set on the first trip? If instead you can always have someone available via the device to validate what we think is wrong and actually potentially fix it, I mean, it’s a huge savings. Fewer return or duplicate trips. And we have learned how a hands-free, voice-activated, and multimedia wearable computer is solving the last few feet issue for delivering a business’ best data and visual assets to some of its most critical on-site workers. 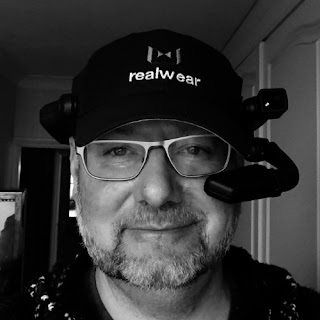 Please join me in thanking our guests, Jan Josephson, Sales Director for EMEA at RealWear, and JT, Director of Sales for UK, Ireland, and Benelux at RealWear, which is based in Vancouver, Washington. Transcript of a discussion on how workers in harsh conditions are gaining ease in accessing and interacting with the best intelligence thanks to cloud-enabled, hands-free, voice-activated, and multimedia wearable computers. Copyright Interarbor Solutions, LLC, 2005-2019. All rights reserved.